Being pale is a trait that most people expect redheads to have. But what if they don’t? For one, perhaps they need less sunscreen. London-based photographer Michelle Marshall has explored the beauty of redheads of different races in her latest project, ‘MC1R’. MC1R (melanocortin 1 receptor) is the recessive ‘ginger gene’ that mutates and gives us red hair and freckles, and most commonly, pale skin, too. But that’s not to say that other skin colours can’t have ginger hair. Since red hair has been around for thousands of years, the gene has developed and spread all over the world – not just found in Northern Europe. It’s countries like Jamaica and Brazil where red hair has been passed down through generations through the slave trade and human migration. Michelle’s ‘MC1R’ project just goes to show that redheads’ weird and quirky genetics create beauty wherever it goes. 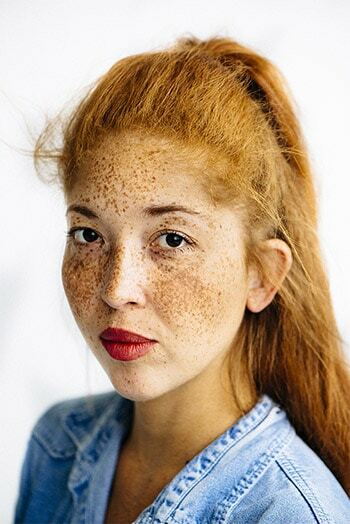 Why did you choose to photograph redheads of mixed race? 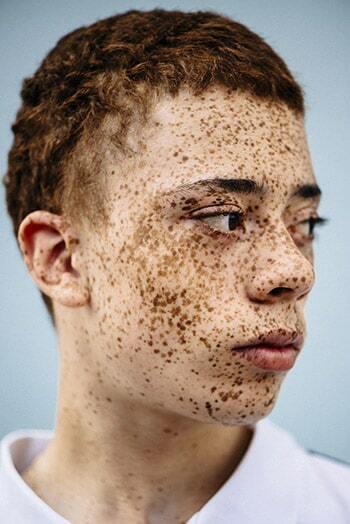 Starting in April 2014, the series stemmed from an initial submission idea for a photo story on freckles. On exploring the notion a little more, from freckles I arrived at red hair, and the presence of the MC1R (melanocortin 1 receptor) gene involved in modulating skin and hair colour. I had not really worked out the slant I would take on the theme with the potential images but coincidentally, shortly before the submission deadline, whilst out and about, I spotted a freckly little girl with amazing red hair. To my surprise she was of mixed heritage. Despite not hearing back from the publication, I was set on pursuing the idea as a personal project and this is the slant I ended up taking with it. That little girl was the first subject I photographed. Are you a redhead yourself? No, I’m just an inquisitive photographer! What do you want to achieve with your photographs? The series is a comment on societal parameters that have been set and ingrained in the collective psyche but clearly need updating. On a personal level, I am curious. I’m curious about myself and by extension about others. Portrait photography allows me to study what I like and what I see in others that may be overlooked. I see each portrait as a series of distraction-free frames charged with an authenticity of features, traits, mannerism, quirks and worth. What’s next for you and your work? My aim is to create compelling portraits, a visual census representing our constantly changing society. 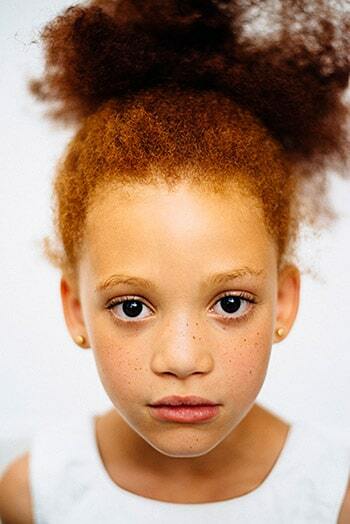 I would like to take the project beyond shooting in the UK and Europe, as there seems to be clusters for mixed and black redheads in the states. Ultimately, I would like to compile the images and some of the text and anecdotes collated whilst shooting into a photo book or possibly an exhibition. Adding a scientific bias to the project to help understand the occurrence of the gene mutation from statistical and population genetics perspectives would be the cherry on the cake. So if there are any geneticists out there interested in teaming up, I would be keen to hear from them! For more information on Michelle Marshall’s ‘MC1R’ project, visit www.michelle-marshall.com.